My cousin was visiting me in Singapore this weekend, so I took her out for brunch at Privé Bakery Cafe along Marina at Keppel Bay. We both love eggs for breakfast so this place was perfect. Privé Bakery Cafe is located beside the yacht club/ marina so the place has a really beautiful ambience. I love eating here for leisurely Sunday brunches with a great outdoor view of the water. My cousin had the Eggs Benedict (SGD 16.00). The eggs were perfectly poached with just the right amount of yolk oozing out once sliced. The hollandaise sauce was rich but very tasty. The arugula salad on the side was a perfect contrast to the rich dish. 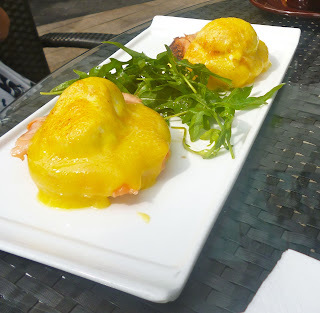 I also had a very similar dish which was the Eggs Royale (SGD 16.00). Instead of ham like what's used in the Eggs Benedict, this dish uses smoked salmon. Fantastic combination as well with the eggs, muffin, and salad. 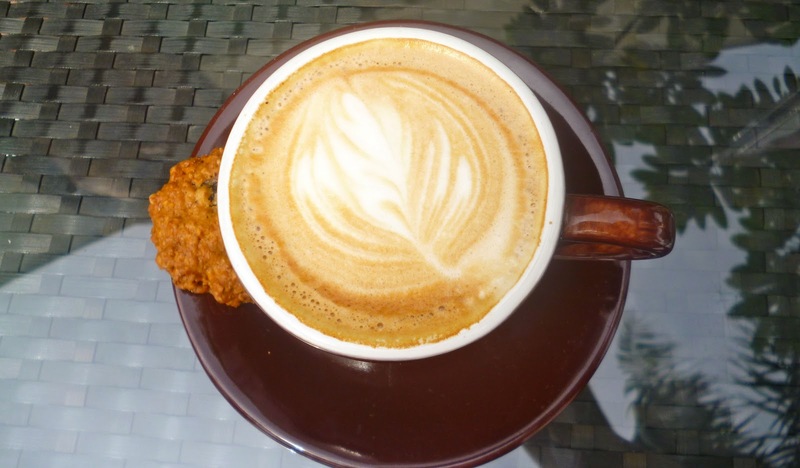 I had a Cappuccino (SGD 5.00) on the side. I love artwork on cappuccino so I could not help but take a photo. I really like this place and have enjoyed all my visits here so far. It's a little bit out of the way, but it's worth the commute for a lovely Sunday breakfast. 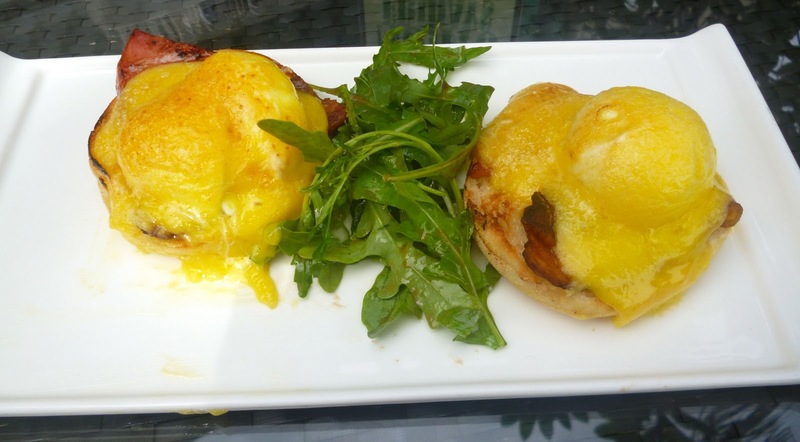 Egg-lovers like me will certainly enjoy the selection of poached egg dishes in their menu. They have really yummy cakes and pies too, but I was way too full from my meal that I couldn't order dessert anymore.